Valletta Cruise Port was named as the Best Terminal Operator for 2015 by Cruise Insight. The award recognises port's impeccable service and the continued development of facilities. “I would like to take the opportunity to dedicate this award to all the personnel at Valletta Cruise Port. The team is undoubtedly the pillar of this award, whose unparalleled level of service, responsiveness, commitment, drive and professionalism in delivering the best level of service is not only recognized internally by the Board of Directors and Management, but is recognized by the industry itself,” said Valletta Cruise Port CEO Stephen Xuereb. The representatives of Valletta Cruise Port along with other stakeholders were attending cruise industry’s most authoritative showcase, Seatrade Cruise Global 2016. Recognition of Valletta’s port services and excellent passenger satisfaction ratings were highlighted by all senior management levels within the cruise lines. Last year, a sharp increase in the number of cruise passenger movements visiting Malta was registered with 668,277 movements recorded, which represents an increase of 150,683 people or a 29% increase on the previous year. The current 2016 is also looking very positive. 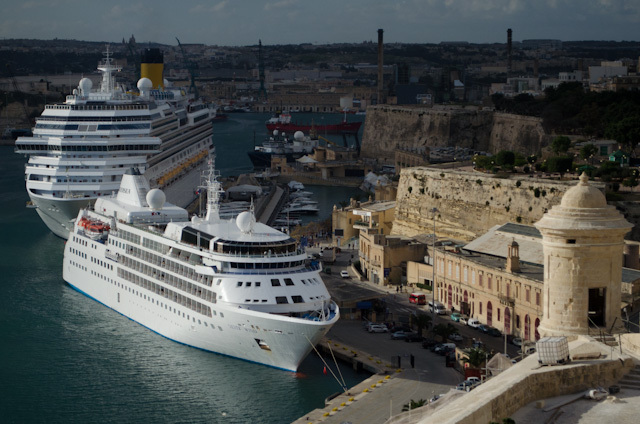 Valletta Cruise Port is expected to welcome more than 700,000 passenger movements.